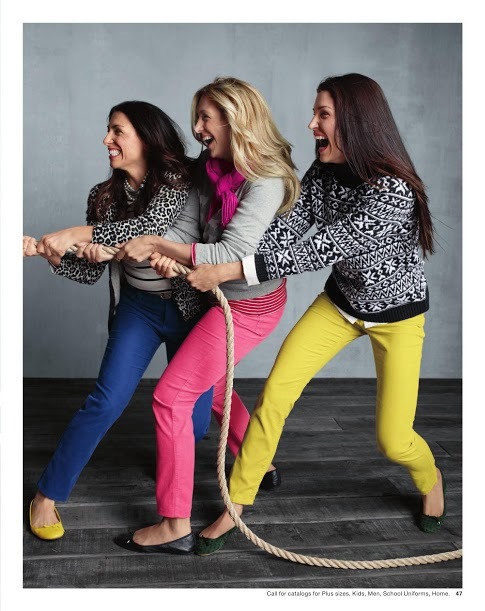 Ropes are a common storyline in Lands' End catalogs. He is as incredulous as we are: three women, tugging for his attention? The camouflage sweater should allow him to hide properly. Truly, I triple-dog dare you to make it to Page 35 of the holiday version of the Lands' End catalog. Most likely, you will not be disappointed in the sweater fleece, which comes in mineral heather, orchid berry heather, caraway heather and comet blue heather. Let's put it this way: a lot of heather died to keep us warm. But what catches the muse more than a cute model or a sweater fleece (which, by the way, is "half-zip, high hip") is the thick, unusually white rope on which the model is sitting. Honestly, it's the best color of white I've seen in some time. No doubt procured by some intern, the white rope is swirled and piled high to allow it to function as a would-be stool for the model, who is also sporting sea-foam green colored jeans. I must confess: this is my first time noticing a rope in a catalog. Much less a white one. I'm not certain, but I imagine most ropes wouldn't be caught dead in a catalog—holiday or otherwise. Not to mention, this rope is so white I'm wondering if anyone with actual nautical acumen would recognize this thing as a rope, as such. Maybe it's not actually a rope, after all, I tell myself. The catalog is causing me to doubt many existential things I once held dear. I look at the rope. 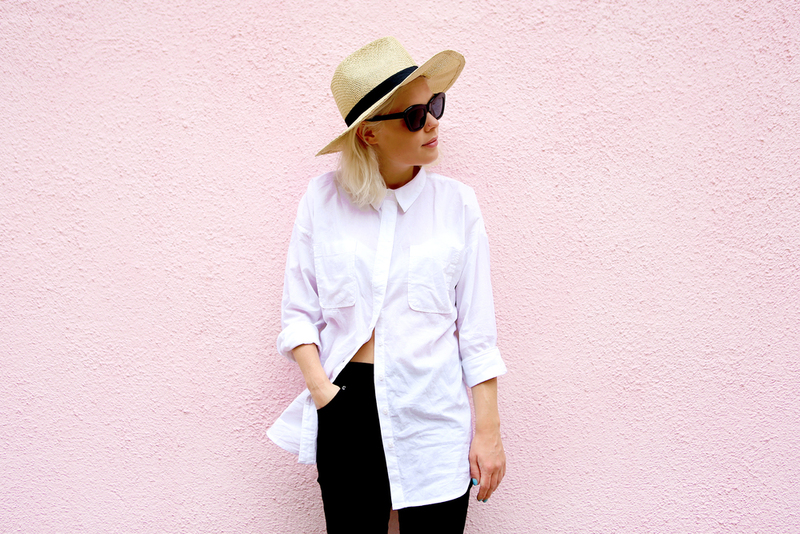 Still white. And definitely a rope. I think. Lost at sea, and many miles from its original, defining purpose, here is this angelic white rope. It's not for sale, of course, but it is for sitting. For a moment, I lose my mind. In truth, my mind was long gone. On Page 3, there's a picture of two young women with this accompanying caption: "Amy and her big sister, Gina, can finish each other's sentences." Are you kidding me? There is simply no way this is true of either Amy or Gina. Anyway, the rope's heavenly whiteness takes me to a very dark place. 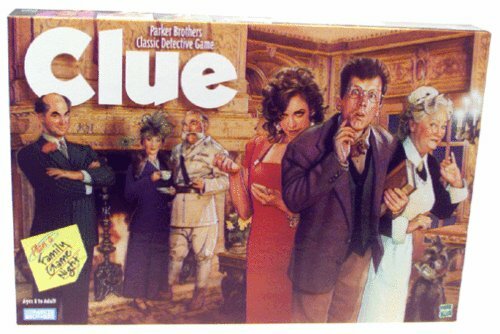 I begin to picture Colonel Mustard from that wonderful world of Clue, slowly and viciously strangling this quite cute model. You know, the one with the dark hair and dark eyes, who's dressed to kill (or be killed) in her caraway heather sweater fleece. Yes, naturally, he is using the white rope from the catalog. If you must know, I picture him doing the deed in the Library. He happened upon the model "reading" a book. Overwhelmed by unprecedented levels of pretending, he just snapped. And, finally, I snap out of it. I turn to Page 185. Everything is much better now. Some handsome guy in a nifty ensemble is pulling a Christmas tree on a sled through the snow. It seems easy enough. He is smiling in a pseudo-casual way as he gazes down at a perfect 45-degree angle.